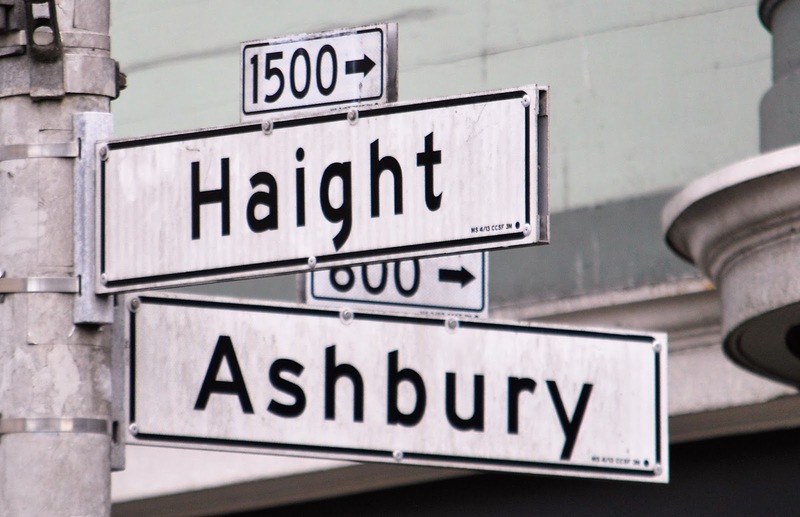 Where 21st century hippies quote 19th century Dickens on sidewalks. 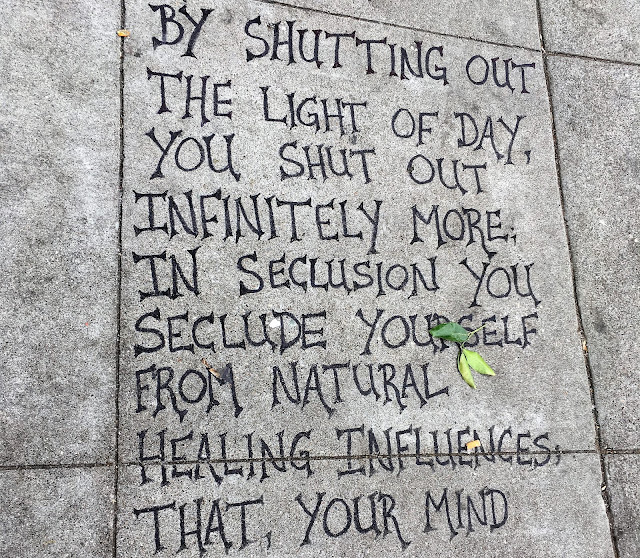 On a recent walk through the streets of San Francisco we came upon a quote from Charles Dickens 1861 novel Great Expectations scrawled upon the sidewalk at the intersection of Haight and Ashbury — Ground Zero for the Summer of Love. One is left to ponder whether Charles Dickens would be amused to find his words on this small corner of the world in San Francisco or if he would deign to attend that city's Great Dickens Christmas Fair. One thing is certain, the author of American Notes documenting his trip to the United States in 1842 never traveled further west than St. Louis, Missouri. 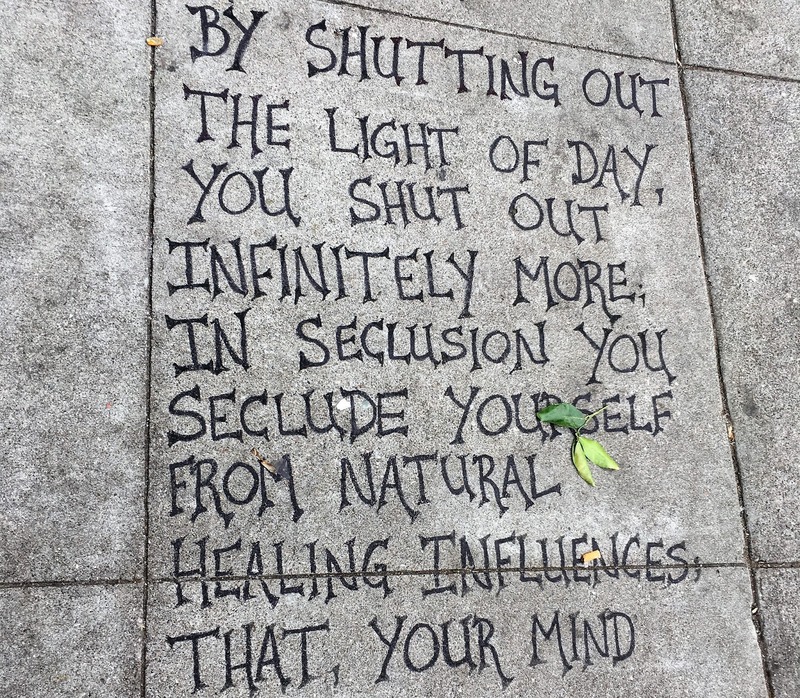 Charles Dickens quote from "Great Expectations" as it appears on sidewalk in San Francisco.